George Michael "Micky" Ward sometimes nicknamed "Irish Micky Ward", is a retired American junior welterweight professional boxer and a former WBU champion from Lowell, Massachusetts. 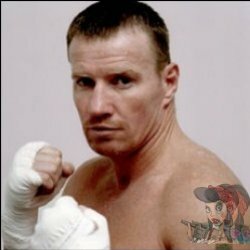 He is widely known for his three fights with Arturo Gatti, as well as from the 2010 feature film based on his career titled The Fighter, in which he is portrayed by Mark Wahlberg. Micky is the younger half-brother of Dicky Eklund. 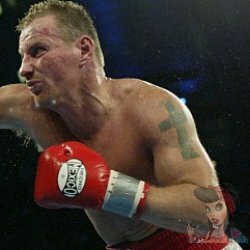 Micky has one tattoo on his upper right arm of a cross. This is just a simple cross with no writing or color.